Anki OVERDRIVE Fast & Furious Edition is easy to setup and the movie tie-in element it brings to the mobile app/game is quite fun. Anki also sent us a Speed Kit (2x straight track pieces) and a Nuke Phantom Supercar for the purposes of testing for this review. 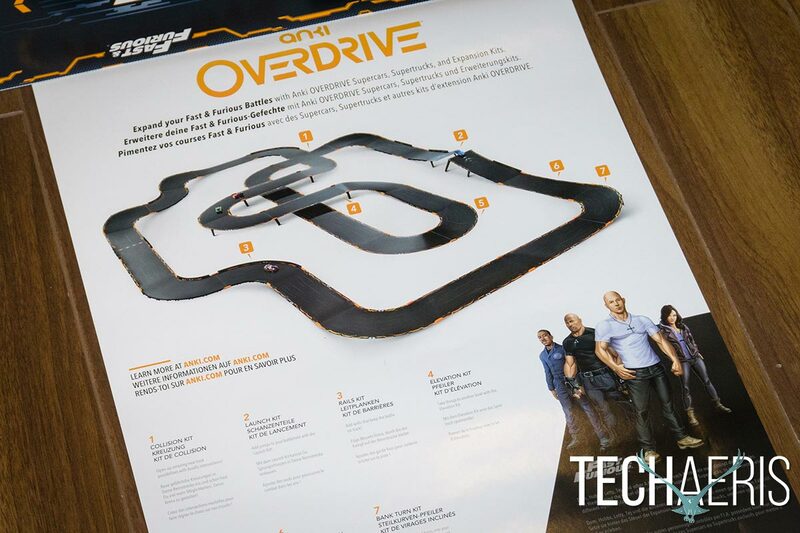 The Anki OVERDRIVE Fast & Furious Edition comes in a pretty big box, and for good reason. In all there are ten track pieces, rails, cars, charger, and a tyre cleaning pad included. 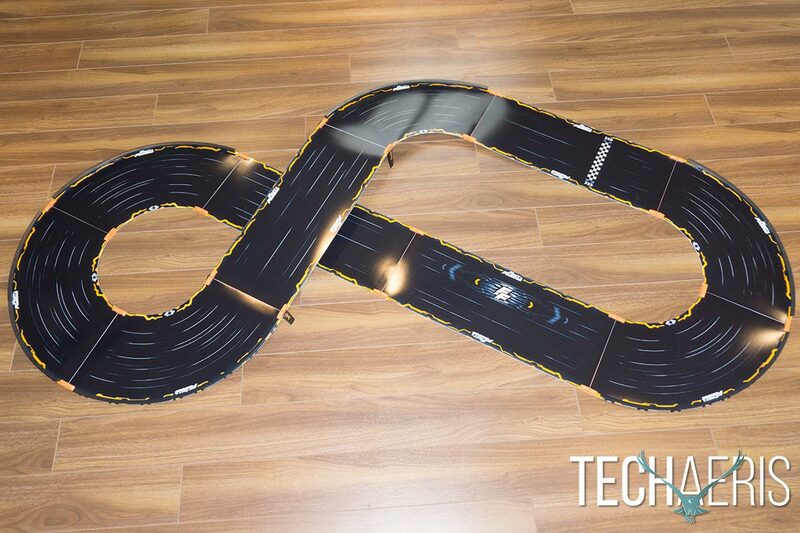 The cardboard track pieces themselves are interesting and are just over 8 ¾” wide but are barely 1/16″ thick. Either end of each track piece has two orange pieces on each side with a magnet in them and 3 orange tabs on the underside. These magnets and tabs are used for connecting the various track pieces together. 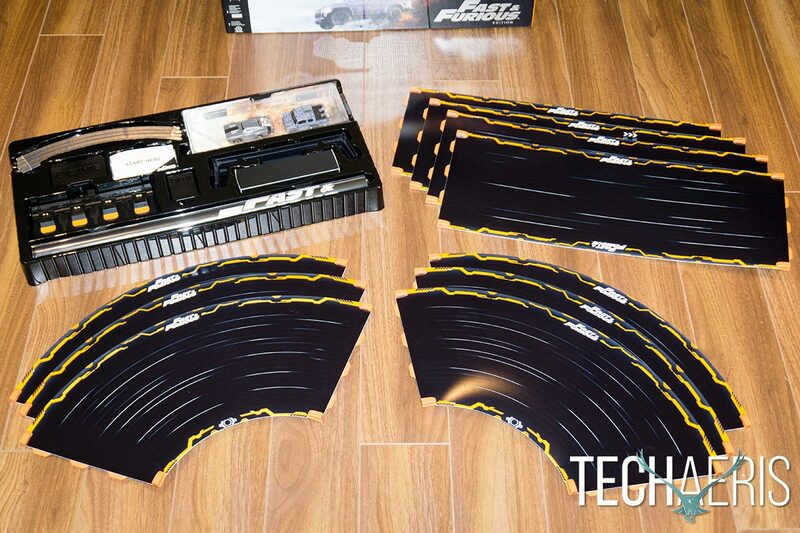 Each track piece is colored black with orange edge artwork as well as the Fast & Furious logo on one or both edges. The track pieces also have white line streaks on them, presumably, this is the “track” the cars follow. The track pieces go together very easily and are held in place magnetically. 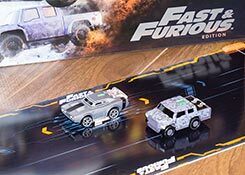 One of the straight track pieces has a white & black checkerboard start/finish line on it, while another — the Power Zone Track Piece — has the F&F icon with some bluish-gray arrows and artwork around it. The guardrails are plastic and slide onto the track pieces with small clips that sandwich the track piece against the clip and the guardrail itself. The two riser pieces also clip onto the edges of the track and allow you to raise the track up and create a bridge. 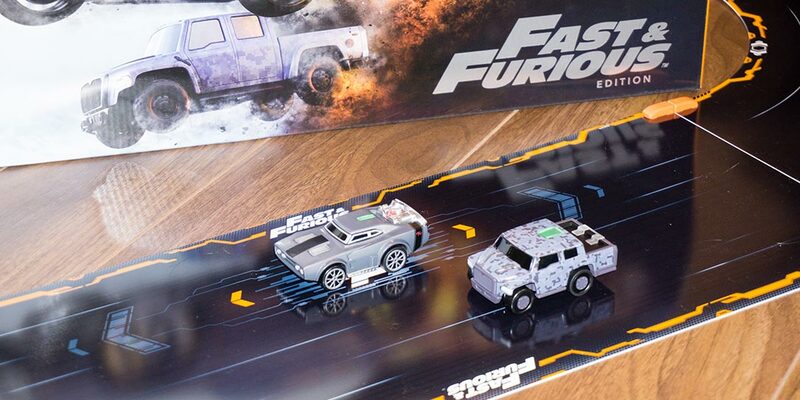 The cars themselves, no doubt the “stars” of the game, are stylized, wide, stubby representations of Dom’s Ice Charger and Hobbs’ International MXT truck from the latest Fast & Furious movie. If you’ve seen The Fate of the Furious, you’ll have no problem recognizing these vehicles. If you haven’t, the Ice Charger is based on a Dodge Charger, is silver/grey in color with a black hood stripe and a jet engine in the trunk area. The International MXT is slightly taller and is a four-door truck with a grey camo scheme. The Nuke Phantom Supercar, not part of the set but sent along with the review, is a futuristic-looking white and black sports race car. Each of the vehicles have larger tires, and two clear plastic strips on the hood and one on the roof. These strips light up for various reasons during racing which I’ll discuss later. Finally, the bottom of each vehicle has a sensor between the front wheels and two charging contacts just before the rear axle. Dom’s Ice Charger and Hobb’s International MXT are the included Supercars. 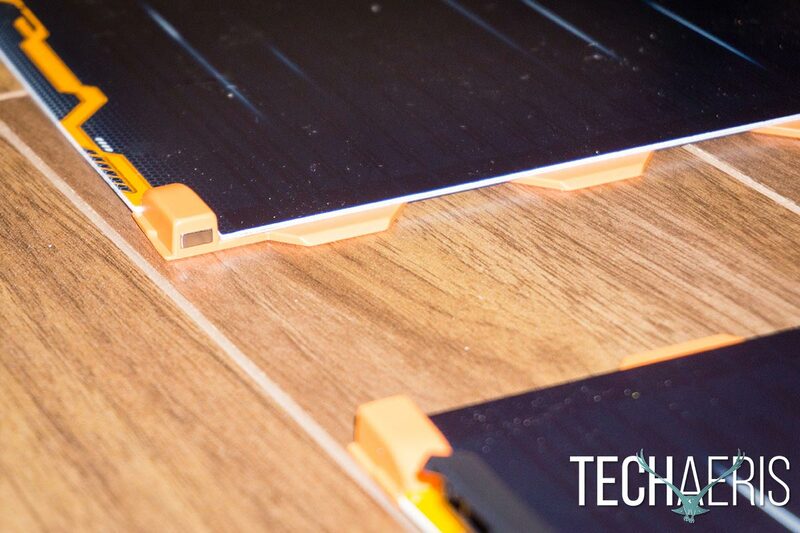 The car charging pad is roughly 3 ¼ x 8 x ½” in dimension and features four raised, evenly spaced docks. Each dock has two metal contacts and a pair of arrows pointing in the direction the front of the car should be placed. The cars fit easily on the dock and snap into place for charging. A thicker flat USB cable extends out of the back of the dock and the USB-A end connects to an included power adapter which features folding prongs for easier storage. Finally, a small inkpad sized Tyre Cleaner pad is also included. Opening this up unveils a black sticky pad which, when you run the car’s wheels over it, removes any dust or hair that may be on them to give them better traction on the track. I did mention earlier that the track pieces are made of a thick, coated cardboard but it is pretty sturdy and durable and shouldn’t tear or bend unless you’re using them for something other than racing. Still, it’s a good idea to keep them out of reach and away from younger kids who may be inclined to whack them around. As mentioned in the previous section, each piece of track has a pair of magnets on the side of each end as well as interlocking pieces underneath. Once two pieces of track are placed close enough to each other, the magnets take over and pull them into place, holding them together. Adding the rails or the risers is easy enough as well. The rails just slide onto the side of the track piece — curved or straight — that you want it on. The riser pieces require that you slightly bend the track and once released it will flatten into the sides of the riser, allowing for it to be elevated. One of the various track configurations you can make with the included track pieces. Disassembly is just as easy, a bit of a pull on either side of where the track pieces meet and they’ll come right apart. Once you’ve assembled the track, or better yet while you’re assembling the track, you’ll need to charge your Anki OVERDRIVE vehicles. Fortunately, they charge pretty fast and in under 10 minutes, you should be ready to go. While the vehicles are charging, head over to the Google Play or App store and download the Anki OVERDRIVE Fast & Furious Edition app on each device you’ll be using. You’ll need to set up an account for each player on their respective devices. When the vehicles have been fully charged, place them on the track and then select the vehicle you want to use by selecting it in the app on your smartphone. The first person to start a game is the leader and can then invite others who are nearby (on the same Wi-Fi network) to join. Once everyone — called Commanders in the game — has chosen the vehicle they want to use, the OVERDRIVE Supercars do a test lap around the track and actually map out the path. Once that’s done, they stop at the Start/Finish line and when everyone is ready the cars are controlled via the app. Place the cars on the track and they map out the route! 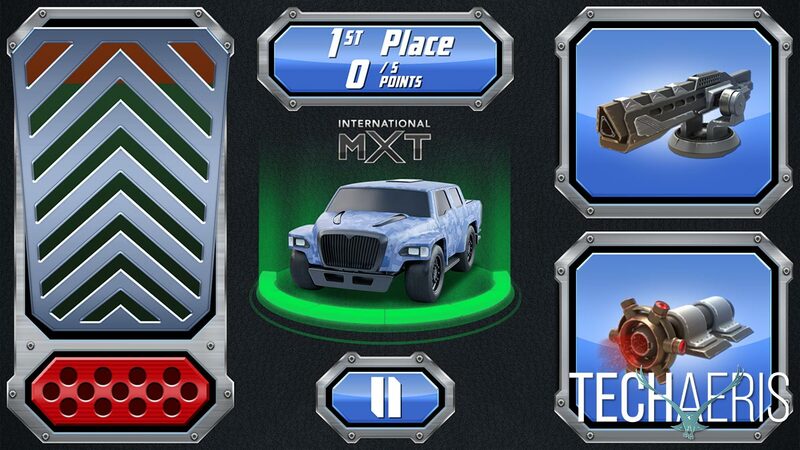 The Anki OVERDRIVE Fast & Furious Edition app is where all the magic happens. It’s pretty straightforward and easy to use. Once the match starts, you press against the accelerator pedal on the left side of the screen and slow down by sliding your finger down the “pedal.” To stop, simply remove your thumb or finger from the pedal or press the brake below the accelerator. 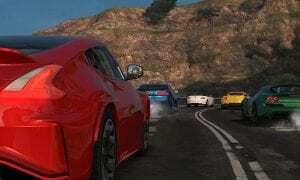 Initially, you are limited to speeding up and slowing down but as you level up your car and progress through the Fast & Furious story mode, you get access to weapons. 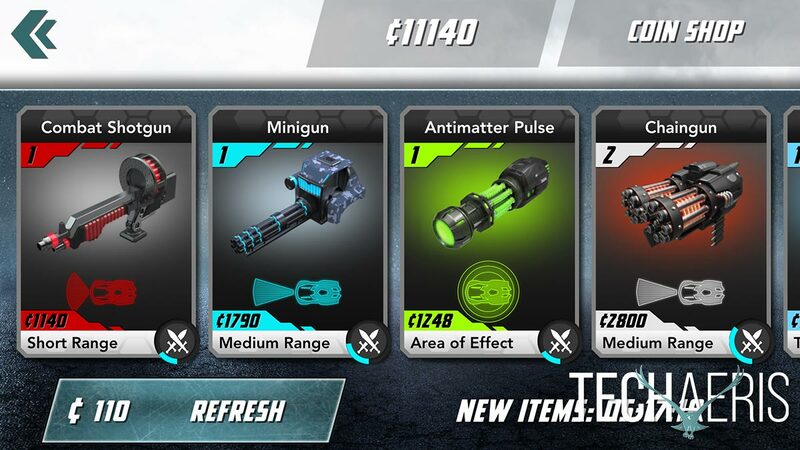 These weapons allow you to do different things like shooting opponents, temporarily disabling their cars, and more. While you control the speed, braking, and weapons with the app, there’s no actual turning involved. However, you can tilt your device to make your Supercar change between any of the three invisible lanes on the track. Pretty simple interface, accelerator/brake on the left, weapons on the right. During the story mode, you race against Dom, Hobbs, Letty, or Tej and use actual dialogue from the movies which make the Campaign pretty fun. There are limited lines though, so it can get a bit repetitive if you’re playing for any length of time. 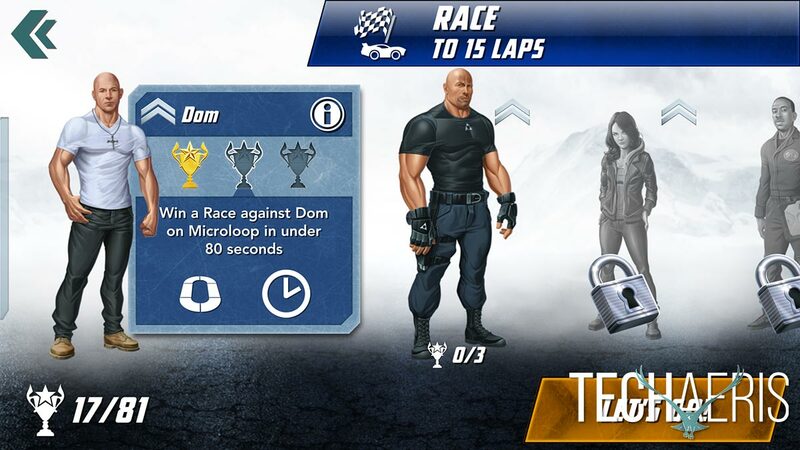 Start with Dom, then take on Hobbs, Letty, and Tej from the Fast & the Furious franchise. In addition to the story-driven Campaign Mode — which can be played cooperatively with others — there are six multiplayer modes available as well. These modes are Race, Battle, King of the Hill, Battle Race, Takeover, and Time Trial. 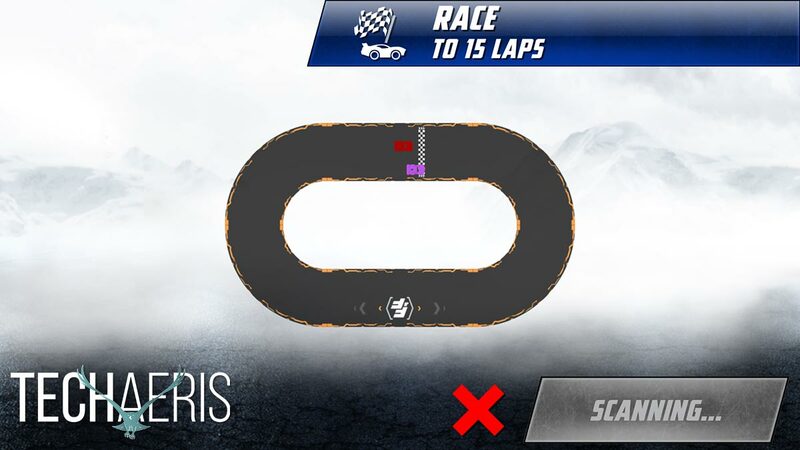 Race: Be the first commander to complete all the laps and cross the finish line! Speed is king in Race Mode. Battle: Take aim at your opponents, score big and win big. Earn the most points by disabling other Supercars to win! King of the Hill: Be the first to disable another player and become King. The longer you have the crown, the more points you earn. If someone else is King, disable them to steal their crown! The first commander to reach the point limit wins. Battle Race: The goal is to be the first Commander to complete all the laps in your race, but having the fastest Supercar only gets you so far. Use your weapons to help slow down your opponents. Takeover: Anyone who can break through a Supertruck’s defenses will take control of the vehicle to wreak havoc on their opponents until another player disables them and takes command of the Supertruck. Unfortunately, this mode requires a Supertruck which we didn’t have so we couldn’t test it out. Time Trial: See who can finish the current track setup in the fastest time. So, as you can see, aside from the Campaign mode, there are plenty of other modes which you can switch around between to keep the gameplay fresh and fun. You will have to play through at least some of the story mode first in order to unlock all of the multiplayer modes. When you complete a race, you are awarded currency credit. These credits can be spent at the in-game store for upgrades for the vehicles which also help to keep the gameplay fresh and interesting. One of the cool things that’s worth mentioning is that the level of the car is tied to each profile. That way, if multiple users are sharing the same cars, they each have to level them up on their own. 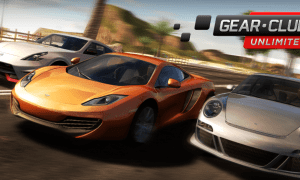 While this may seem unfair for multiplayer use, there is also an “equalize cars” option to make the cars similar in level and power to even the racing field. Earn credits to spend at the in-game store to upgrade your weapons. 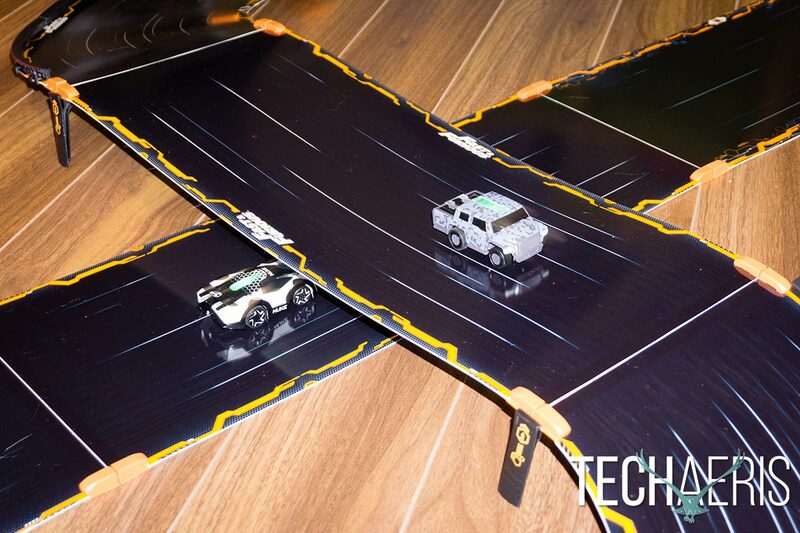 Now that we’ve got how you set up Anki OVERDRIVE and how you control the cars, just how well does it work? Since we had three cars to use, we tested out head to head to head, two versus the computer, and one versus the computer. In all three scenarios, the cars worked well and stayed on the track for the most part with the exception of a couple minor mishaps, usually in the name of collisions. When playing with an AI controlled car, it was pretty cool and fun to see it ripping around the track and adjusting speed or lighting up when attacking or taking damage. The included pieces allow for a number of different track layouts. There were a couple of times when none of the vehicles were selectable for a player and we’d have to restart the app on the devices we were using. Once we restarted, the cars paired properly and were able to be selected without issue. It didn’t happen often but is still definitely worth a quick mention. With anything toy related, battery life is a huge deal. There’s nothing worse than being in the middle of a game or playing with a toy only to have it die. 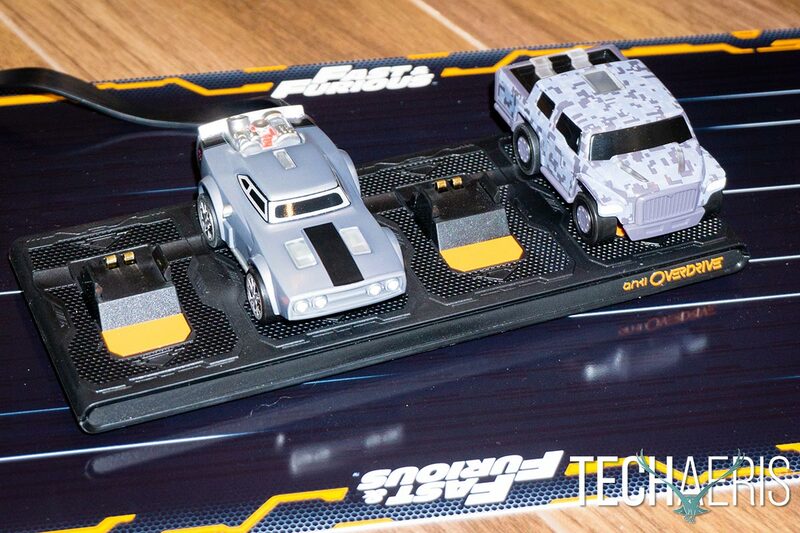 During our play time with the Anki OVERDRIVE Fast & Furious Edition kit, we were able to consistently squeeze 15-20 minutes of play before the vehicles needed to be recharged. Fortunately, they recharge pretty quickly as well and took between 8-10 minutes to fully recharge. The charger has spots to charge up to four vehicles at once. 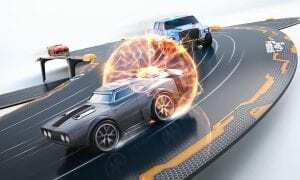 Like anything, it’d be nice if they lasted longer but given the size of the cars coupled with the fact they are controlled wirelessly and feature lights and other battery using components, you can still get a decent amount of playtime over the course of an hour with the low recharge times. If you have multiple vehicles, you can always have some in reserve and just swap them out while others are recharging to further limit downtime. While the base system is quite fun, and the Fast & Furious movie tie-in adding some extra flavour, it doesn’t have to stop there. There are plenty of accessories from Supercars and Supertrucks to various track kits for adding length, corners, collisions, and jumps. Anki also has bank turn, rails, and elevation kits available for purchase as well and the only limit you may run into is space to fit it all. Anki was nice enough to include an accessories poster to show you what parts you’re missing out on! 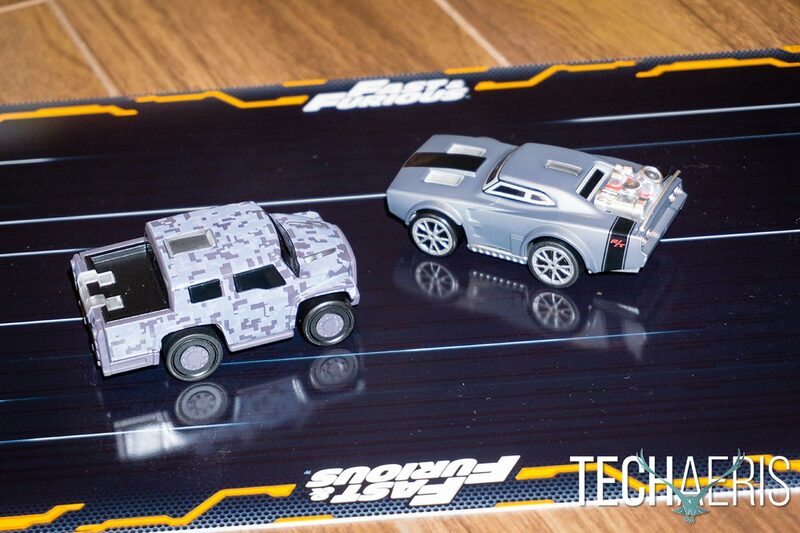 With an MSRP of $169.99USD, the Anki OVERDRIVE Fast & Furious Edition isn’t exactly cheap. That being said, it does offer hours of fun and bridges the gap between traditional slot car racing and the digital era we live in. That being said, if you act before December 2nd, you can save $40 off the price of the Fast & Furious Edition, bringing the price down to a more attainable $129.99. In addition, accessory packs like extra track pieces and Supercars/trucks are 25% off for the same time period. Anki OVERDRIVE Fast & Furious Edition is easy to setup and the movie tie-in element it brings to the mobile app/game is quite fun. With its levelling up format and available accessories, the system can be expanded and use is only limited by your imagination. That being said, depending on your level of interest some people may tire of it quickly, especially after they beat the main game component but it’s easy and quick to put up and tear down and a fun game to show guests. 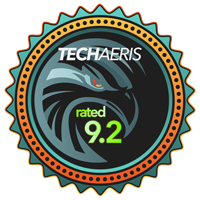 *We were sent a sample of the Anki OVERDRIVE: Fast & Furious Edition, additional Speed Kit, and the Nuke Phantom Supercar for the purposes of this review.